MAI ki Pōneke is part of an international network of Māori and Indigenous postgraduate students hosted by Ngā Pae o te Māramatanga at the University of Auckland. MAI members come to the programme from a range of disciplines across the sciences, social sciences, humanities, education, business, law and architecture. We provide advice, support and information to PhD students, as well as those who are thinking about enrolling in a doctorate but aren't sure how to get started. Māori PhD students in the MAI programme mentor newly enrolled doctoral students, as well as those who are considering doctoral enrolment. We run a variety of workshops on study-related topics, such as writing a PhD proposal and managing the academic writing process. We also invite Māori PhD graduates and Māori academics from around the country to come and speak to us about their experiences. The Māori and Indigenous Graduate Studies programme (MAI) originated at the School of Education Studies at the University of Auckland and centres in Alaska, Vancouver, Hawai'i and more recently at the Universities of Waikato and Victoria. On the Victoria campus it is a subsidiary of Te Kawa a Māui, the School of Māori Studies. We call ourselves MAI ki Pōneke to signal to prospective members that we are region-wide, and that you don't have to be enrolled at Victoria University to be a member. Pauline Harris is a research associate and lecturer at the School of Chemical and Physical Sciences at Victoria University of Wellington. 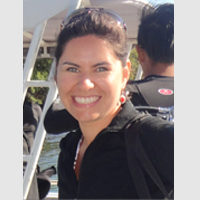 She completed her PhD in 2008 and was a post-doctoral fellow at Victoria. 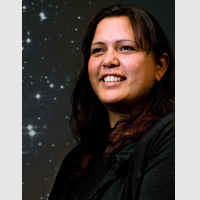 Her research field is Astrophysics and Māori Astronomy. Awanui Te Huia is a Pūkenga/Lecturer at Te Kawa a Māui. She was awarded her PhD in 2014. 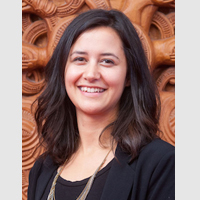 Her research interests are Māori who are learning te reo as their heritage language, Māori identity and enabling the development of Māori language learners.